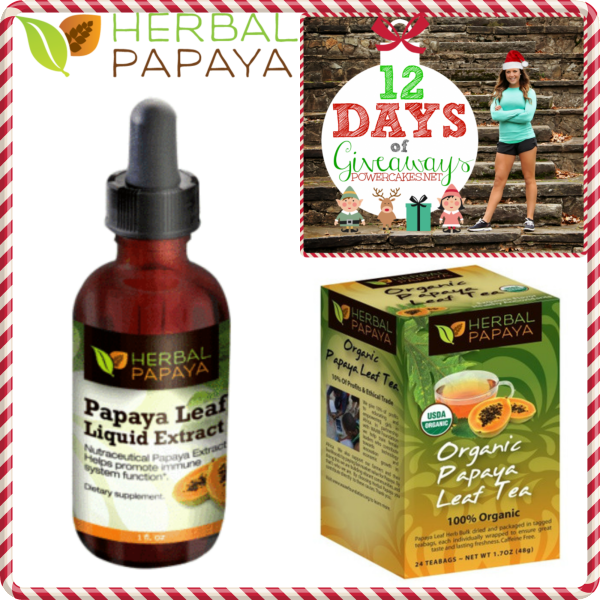 DAY 5 OF THE 12 DAYS OF GIVEAWAYS IS A PRIZE PACK FROM MY FRIENDS AT HERBAL PAPAYA! I’ve known about the benefits of papaya for digestion for a while due to some stomach troubles a few years back. I remember researching and seeing “papaya enzymes” pop up everywhere to help with digestion. A few months ago when my friends at Herbal Papaya reached out to collaborate, I thought what an awesome chance to share with you guys the amazing benefits of this fruit. Check out this link for more information on GMO’s, how to choose a papaya in the store, how to store a papaya once you’ve bought it, and more. 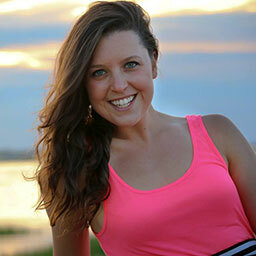 Herbal Papaya is 100% women owned and run by a team of people who love healthy living. They give 10% of Profits to support education for girls in Africa. They are green, care about their environment and use recycled materials where available. They are a proud member of the Natural Products Association. Through their giving, we have increased the availability of chemical free, organic and gmo-free papayas. So go ahead and buy with confidence, knowing that you are contributing to keeping our environment healthy and supporting the communities where our papayas are grown. You can read more about their team here. Herbal Papaya makes papaya leaf teas which provide amazing health benefits including healthy blood platelet function, immune and digestive support. Herbal Papaya is the trusted and leading provider of papaya leaf teas made only with the highest quality organic gmo-free papayas. I was able to try the leaf liquid extract. 100% Organic Papaya Seed Powder and Papaya seed extract in 1oz liquid is easily incorporated into the diet of anyone concerned with the health of their digestive tract and immune system. Papaya seed is a gentle, safe and effective nutritional addition to your diet to provide overall support for your body. It incorporates well into smoothies, yogurt and salad dressings and can be used in place of black pepper. Pretty cool, huh? 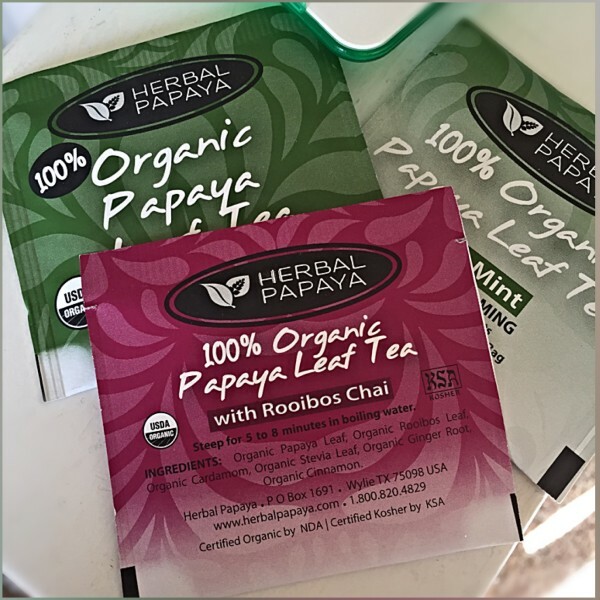 My friends at Herbal Papaya are giving one lucky winner a chance to win a Herbal Papaya Prize Pack filled with teas, capsules, & liquid seed extract. Leave a comment below letting us know why you’d want to win this awesome HERBAL PAPAYA prize pack! 2) TAG A FRIEND ON MY INSTAGRAM POST & make sure you’re following @HerbalPapaya & @Powercakes to be entered! 3) Re-Gram the image I post today on Instagram & let me know that you did below! 5) Subscribe to my blog so you don’t miss a giveaway or post! 10) Check out my Training Programs & Online Instant Downloads at KaseyArena.com & if it interests you at all, let me know below if you signed up for more info! *This Giveaway will run until December 30th at noon EST and is open to US Residents only. All winners will be announced January 2nd. On The Eighth Day Of 12 Days Of Giveaways I Gave To You - Under Armour! I have a very sensitive stomach and would love to give these products a try for some of my digestive problems. Also thoroughly impressed with the wonderful work this company is doing!! I am a proud subscriber of your blog! I like both Facebook pages and I just have to reiterate how impressed I am with this company’s giving! I also follow both Instagram pages! I subscribe to your Youtube page and love it! I would love to win this prize because I have had some not so major, yet annoying stomach problems for a while now and I love trying natural remedies!! And have checked out your website and downloads and am on day two using your training log! I follow you both on Instagram! This would be a great prize pack for me. I’ve never heard of or tried anything like this. I think it would help aid with my digestion. I’ve had issues since I’ve been a teen and I haven’t found anything to help. Oh man, I would LOVE this. I will spare you the details but my digestion issues are the talk of the office. I’ve actually had to leave work. BUT – I try to limit my fruit so eating an actual papaya scares me. That’s why THIS giveaway would suit me perfectly. Like you both on FB! I’m following both of you on Twitter. I’m a tea addict, so this tea would be something new to try. I also have never tried a liquid extract but would like to. I’d be interested to see if this could help some of my digestive issues. I’m so impressed with this company and what they stand for! I’d love to try these products, because I have such a sensitive stomach and I’m always up to trying something new! I really enjoy trying new products that improve health. I’m also a subccriber, tweeter, and have liked the pages. Thank you. I like Herbal Papaya and Powercakes on Facebook! Wow I didn’t realize papaya had so many benefits. I have been getting into tea lately and their mint and passion fruit flavors sound delicious. I tagged a friend in the Instagram post – she is the one that got me into tea!! Would love to share these products with her. I would love to win this to see how it helps my immune system and digestive system! I retweeted and repinned! Liked HerbalPapaya on FB and followed them on Twitter! I would love to try this because I want to convince myself to like papaya and get in more nutrients!! I share, tweet and twitter/fb follow….I just don’t do IG. Thank you for such awesome giveaways as my husband and I are very interested in these products. Merry Christmas and Happy New Years to you, yours and your readers. 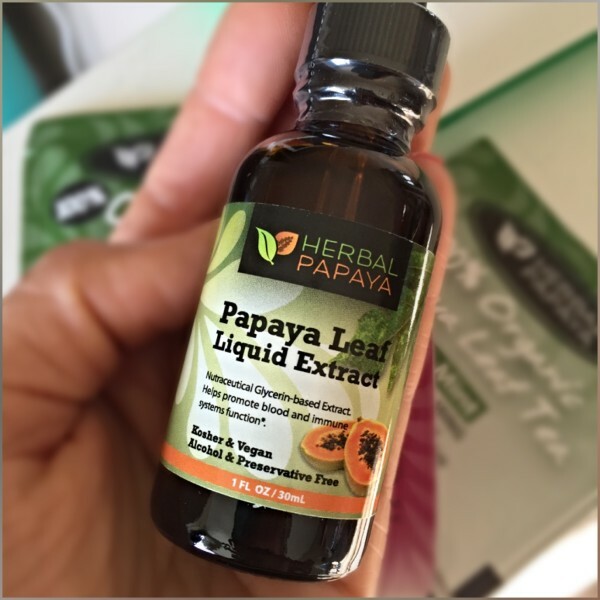 I want to win this awesome HERBAL PAPAYA prize pack because I love papayas! I tagged a friend on your Instagram post – a_m_a_r_t_i_n – and I am following both. I want to win this prize pack because I would love to see if it will help boost our immune systems & we also love papayas! I checked out your Training Programs at KaseyArena.com & it looks great. I wish I could participate!